On September 21, 2001, a group of about 25 people representing all sectors of the food community – from farmers to schools to clinics to social agencies addressing hunger – gathered at what is now known as Feeding America West Michigan. With Groundswell farmer Tom Cary at the helm and with me taking notes, we collectively organized Grand Rapids’ first food policy council. We all recognized and outlined the myriad of challenges facing our fractured food system in Grand Rapids, including race, the built environment and socio-economic disparities, to name a few. This community effort – over time – faced its own hurdles and challenges in the decade that followed. Programs in the community came and went, and today – while the food system landscape is completely different, the core issues faced then remain the same. 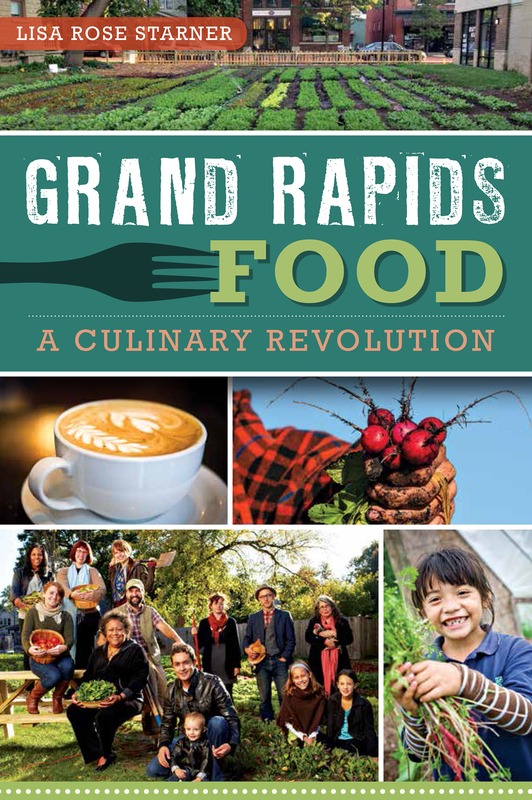 Since I published the local food documentary, Grand Rapids Food: A Culinary Revolution (History Press, 2013), citizens have continued to take up shovels to clear grass and concrete and build gardens. When policy gets in the way, citizens continue to appear at policy meetings to help coax our leaders to make change. From the outside, it can appear that the local food system in Grand Rapids has taken off – from beer to markets, it could seem that the larger Grand Rapids community has benefitted tremendously from the various additions to the Grand Rapids food landscape. 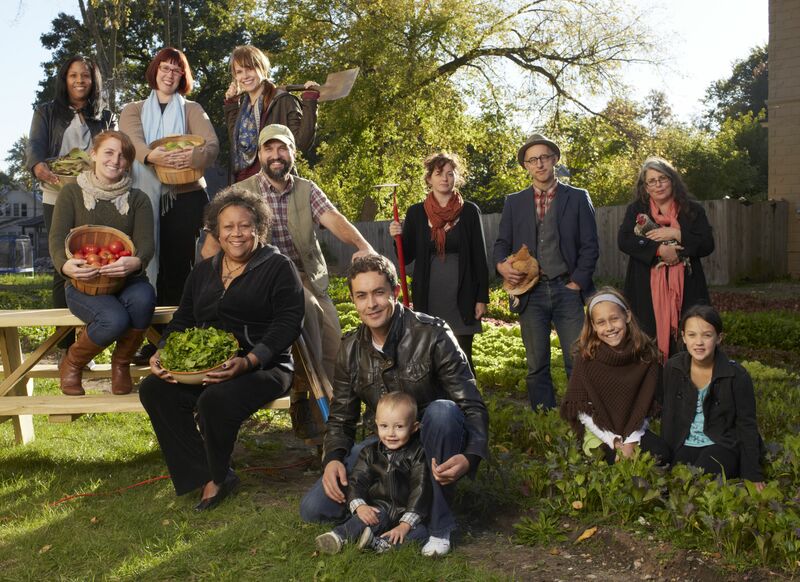 For nearly 14 years to the day, I’ve been engaged in helping grow the local food community in Grand Rapids. It’s been a pleasure to call the Grand Rapids cadre of food activists my most dear friends – those working to increase access to fresh foods within the urban community through a myriad of channels – community gardens, urban farms, food cooperatives, a more effective pantry system – to name a few. 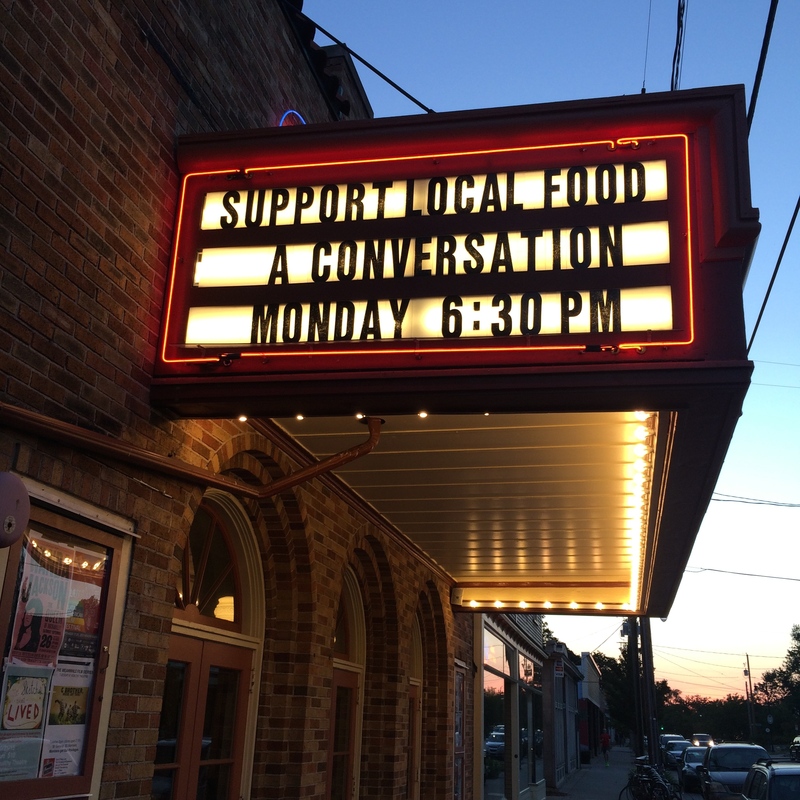 When stepping into the Wealthy Theatre on Monday for the Urban Roots local food community conversation I left my preconceived ideas, assumptions and past experiences at the door. I arrived open to learn of new endeavors and to be inspired by new faces on the front lines. In the recent opinion article penned by urban farmer and local food expert Levi Gardner, many of the issues raised with the Downtown Market are larger systems issues that face all of Grand Rapids – particularly those that are immediately relevant to food access rooted in socio-economic disparities, race and segregation because of our built environment. The Downtown Market has received criticism because the greater community wants its leadership to rethink its outreach, its purpose, its messaging and how it engages a diverse set of audiences. The greater community has needs and is asking the Downtown Market to proactively help meet those needs. The community wants the leadership of the Downtown Market to be present and responsible for being part of the solution. And as a point of order: as a publicly funded institution, the Downtown Market leadership has an ethical obligation to do so, and to ensure it is inclusive of all backgrounds in an intentional way and to actively be a part of community conversations. Growing Roots. Photo by Shane Folkertsma. But let’s be real: This isn’t an issue that faces solely the Downtown Market. While it’s easy to critique a large organization like the Downtown Market, we all need to examine the ways in which we each engage and mutually support open and honest dialogue. We need to examine how we engage each other in the various aspects of our work, helping to make it accessible and inclusive and actualize co-learning. My own food systems learnings have led me down the path to foraging, wild edibles and herbalism as a form of healthcare. Admittedly, I find that it’s easier to sit in the woods, alone, working with plants rather than people. But I know that its the education I have to share that I feel can help effect change and so I work in my community as a community herbalist and teacher about the natural world. It is only by working through difficult conversations and partnerships that we can grow. Stonewalling, boycotting and judgement won’t get us where we need to be. Repeatedly showing up and being open to arriving to new destinations will get us where we need to be. When we shut down – close each other out – we will go nowhere. We need process and intentionality, but we also need to allow room for organic growth. And be accountable for each other and help our organizations grow in the directions our community needs. 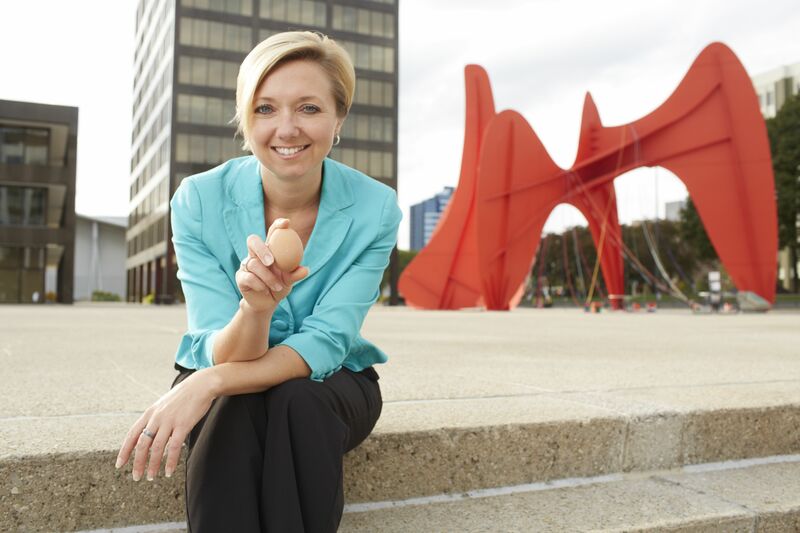 Grand Rapids’ New Mayor-Elect, Rosalyn Bliss, an active leader who helped champion the urban hen legislation in GR. Photo by Ryan P. Photo. Intentionality is important. Each decision should be made with focus and purpose. But it is also worthy to be flexible and open to change and new directions. I leave you with a segment from my book, Grand Rapids Food, where a local gardener talks about the vision for their community gardening space. Amy contemplates the future of the community garden space. “I would like to see it be a place where the neighbors are investing their time. For what we have — the social aspect — It’s what draws people here. We have such a small space compared to other community gardens. But it’s perfect for our block — we aren’t trying to reach large scale. Certainly people can come from anywhere, but we want the neighbors to enjoy this. To be their garden. 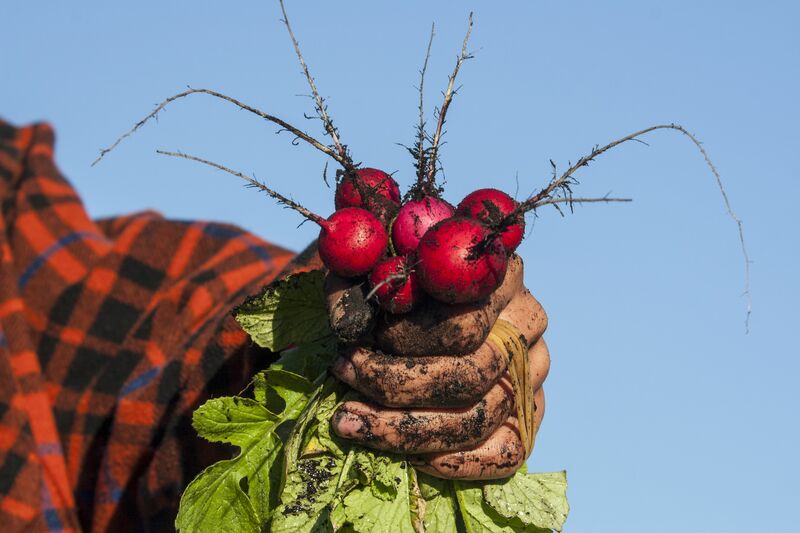 It is my wish that you, too, can be inspired to move forward with intentionality and openness to continue to address the rooted issues that face our food system in Grand Rapids.